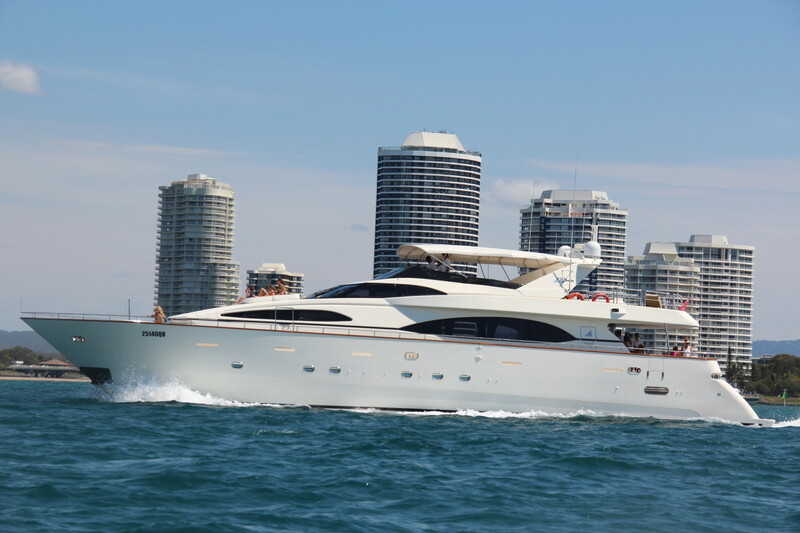 Lady Pamela is a beautiful 100′ Azimut Jumbo. 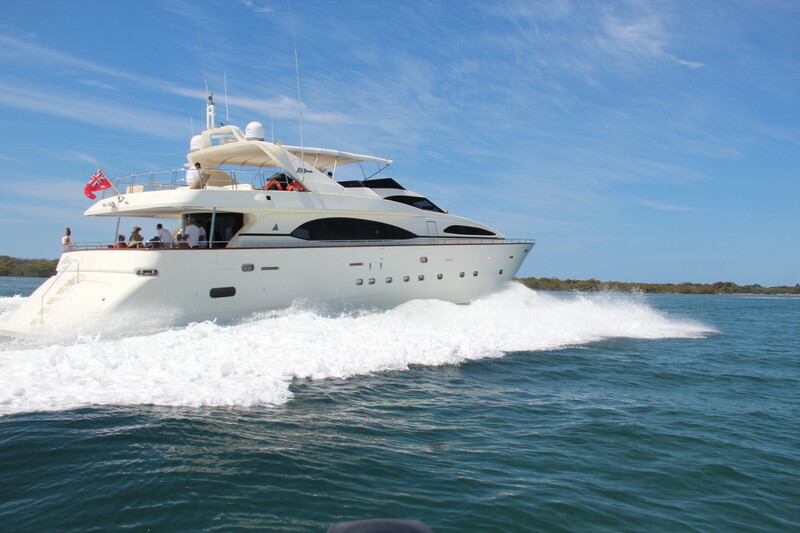 Lady Pamela boasts sleek and elegant profiles and was built with painstaking attention to detail. 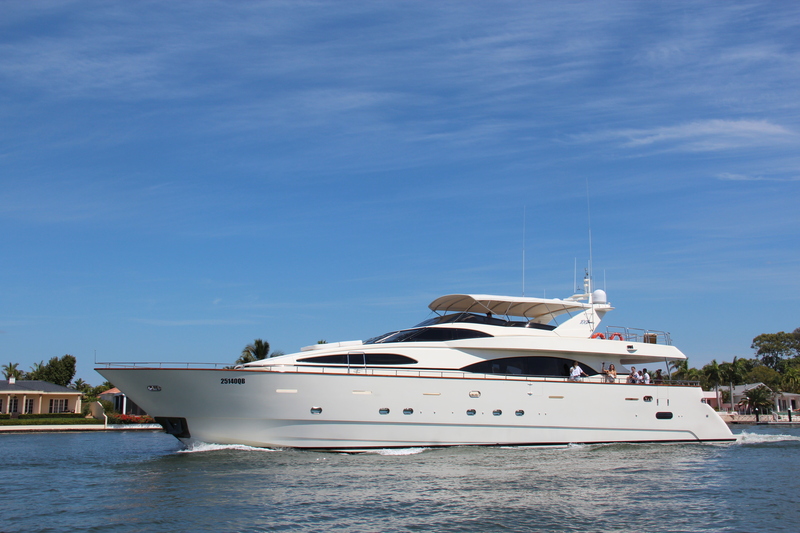 Soft and gentle flowing lines of her interior mark a brand new era of contemporary yacht design. 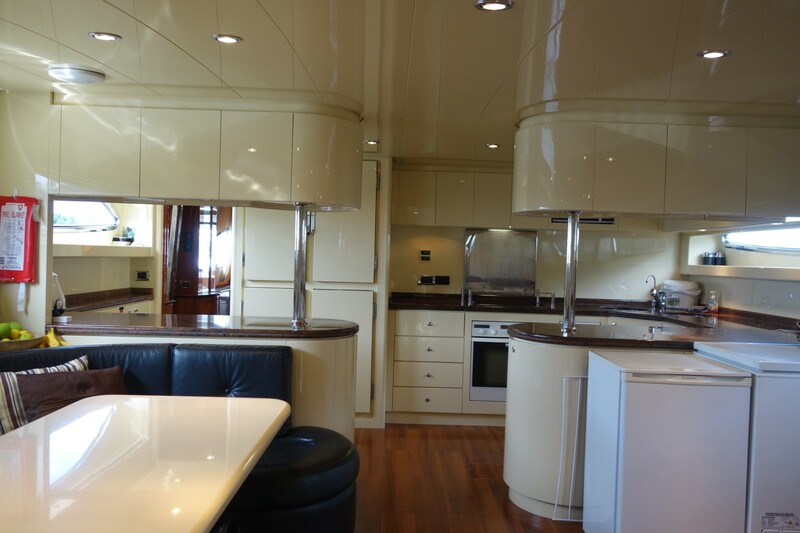 Lady Pamela was built by the renowned Italian ship builders, Benetti – Azimut and finished in classic Italian style – cherry wood, burl walnut, granite, marble and gold. 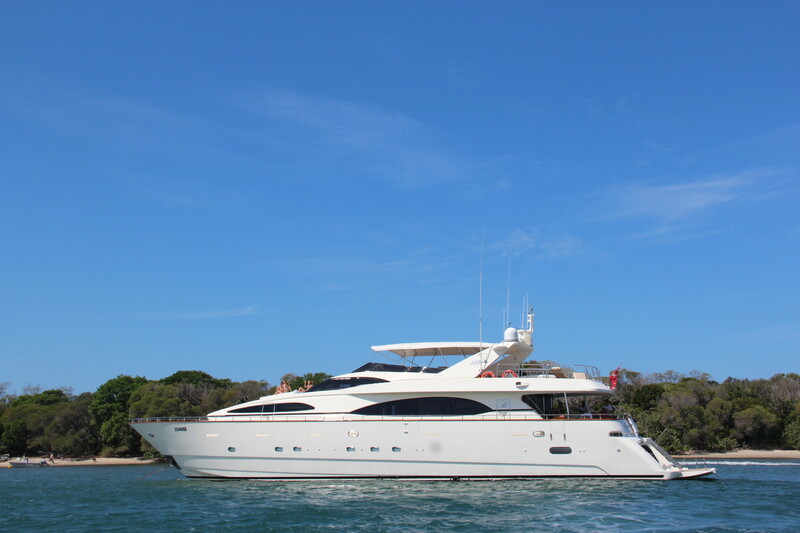 Lady Pamela is the epitome of barefoot luxury, she boasts exceptionally large and luxurious spacious entertaining areas. 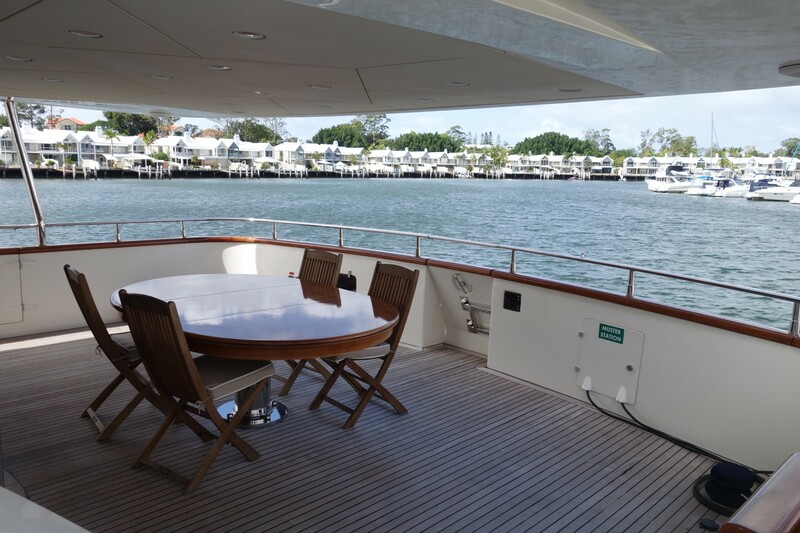 Allexis D has graced Sydney’s harbour for the months of September 2016 – March 2017. 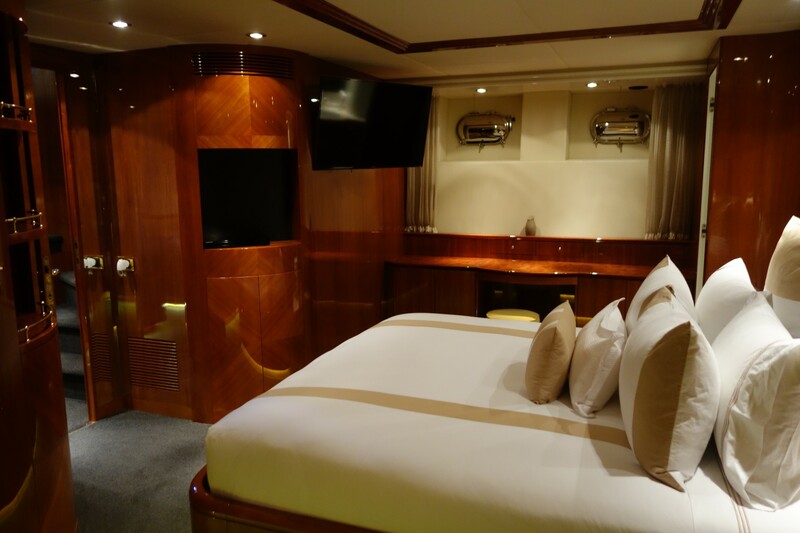 Pamela can accommodate up to 35 guests for exclusive events and 8 guests for live aboard and extended charters. 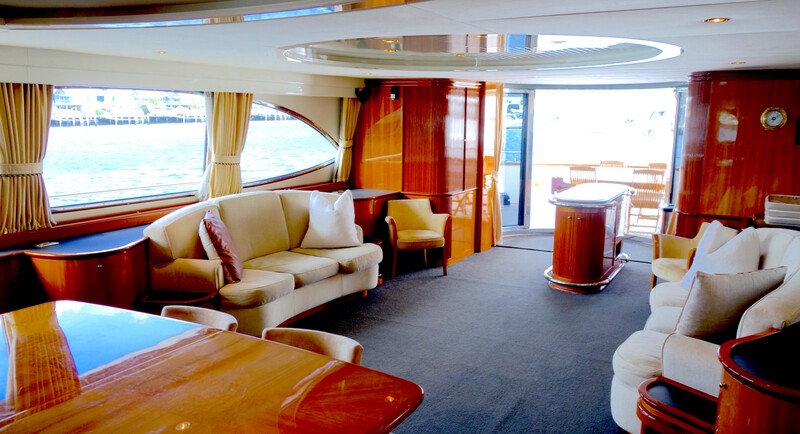 Her flybrige offers panoramic views and the best position to view Sydney harbour. 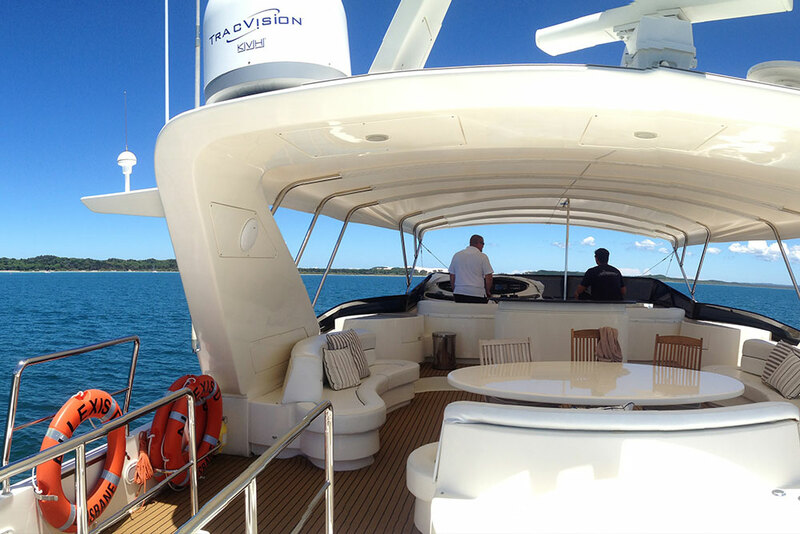 With a large table surrounded by spacious, welcoming round sofas, sun lounges, outdoor bar facilities and a BBQ. 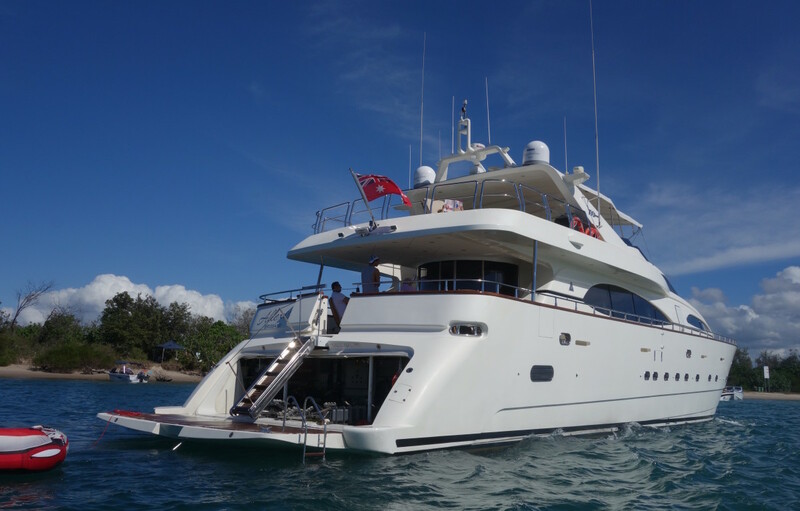 Her sunshade provides adequate relief from the sun on a hot summers day and there is a large area for sun bakers. 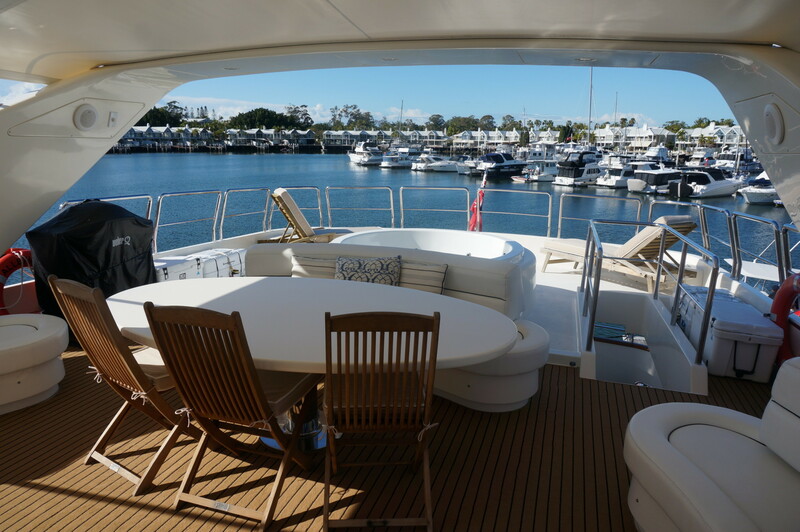 The flybridge deck also offers a generous spa and if your water inclines her entire transom folds down to form a huge swim platform.